Référence OEM : RF7J11401. POULIE DAMPER. MAZDA 5 2.0 CD 6 2.0 DI. MAZDA : RF7J-11-401. Vase d'huile Direction Assistée BMW MINI Série 1, 3, 5, 6, 7 X3 X5 Z3 Z4 141426. Monte Glace Arriére Droit BMW Série 3 E90 E91 Berline Touring - 51357140590. 1.8 Active, Año: 2007. Referencia : CI77F08QEH. Observaciones: ATE:10170103533. Nós podemos verificar isso. Wir können es überprüfen. Temperature sensor, MX-5 1.6 mk1, ECU. 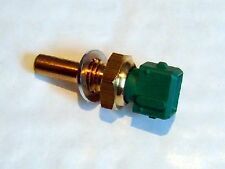 Temperature sensor from rear of engine, MX-5 1.6 mk1 1989-1998. If this is playing up it will usually trigger an ECU fault code '09'. This is over £30.00 from Mazda. MX5 MK2 / MK2.5. MX5 New & Used Parts. MX5 MK3 / MK3.5. This is the triangular sensor which is situated at the rear of the engine and communicates with the ECU the coolant temperature. Tipo MX-5 NA. Marke Mazda. Juntos siempre se puede encontrar una buena solución! La lista de vehículos que utilizan sólo sirve como una herramienta de selección y no es vinculante. ¡Nos encanta ayudar! TIE ROD AND STABILISER LINK. APEC WEAR INDICATOR, BRAKE PAD. BOSCH PRODUCTS. BOSCH IGNITION & FUEL PARTS. BOSCH ALTERNATOR & STARTER. BOSCH BRAKING. BOSCH CAR BATTERY. BOSCH SENSORS. Manufacturer Part Number 0261210314. Type Sensor crankshaft pulse. SENSOR DENSO. Los productos de Bosch. ALTERNADOR DE BOSCH Y EL MOTOR DE ARRANQUE. BOSCH DE FRENADO. BATERÍA DE COCHE DE BOSCH. BOSCH PIEZAS DE ENCENDIDO Y COMBUSTIBLE. 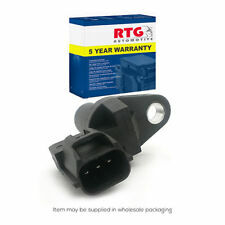 Genuine Mazda 5 - 6 Engine Code : RF7J 2.0L Diesel 2005-2008 Automatic / Manual Crankshaft Position Sensor Part Number : RF7J18221 06M03 Quantity : 1 Price Per : £39.99 Low Mileage. Referencia : 3M5T14B296AB - 10098501044. Vendemos vehículos preseleccionados de nuestra flota asociada. Nós podemos verificar isso. Wir können es überprüfen. Con el MAZDA MX-5 Sensor de impulsos del cigüeñal ADM57204 1.6 01/98-10/05. MAZDA MX-5 Sensor de impulsos del cigüeñal ADM57204 1.6 01/98-10/05. Part Manufacturer Number ADM57204. Manufacturer Part Number ADM57204. MX5 New & Used Parts. MX5 MK2 / MK2.5. MX5 MK3 / MK3.5. This sensor is situated at the rear of the engine and communicates with the ECU the coolant temperature. This is the sensor for the ECU and temperature guage. 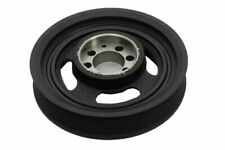 Replaces Mazda part No: B541-18-51X. This is the one in the fusebox under the bonnet. Relay, fuel injection, MX-5 mk1, USED. Denso part no. 056700-9000. Mazda part numbers JE16-18-811 or B6S8-18-811. Not every relay will still have both plastic tails but this does not effect the functioning of the part. MX5 New & Used Parts. MX5 MK2 / MK2.5. MX5 MK3 / MK3.5. This sensor is located at the rear of the engine which sends signals to the temperature gauge. MAZDA MX-5 Sensor, crankshaft pulse ADM57204 1.6 01/98-10/05. TIE ROD AND STABILISER LINK. APEC WEAR INDICATOR, BRAKE PAD. Sensor, crankshaft pulse. Blue Print Filter Service Kits. DENSO SENSOR. APEC BRAKE DISC & PADS KIT. SUZUKI SX4 Saloon (GY) 1.6 (RW 416) Saloon Petrol 10/2007 on FWD 16 120 88. SUZUKI SX4 Saloon (GY) 1.6 AWD (RW 416) Saloon Petrol 10/2007 on AWD 16 120 88. TOYOTA YARIS / VIOS Saloon (_P9_) 1.5 (NCP93) Saloon Petrol 08/2007 on FWD 16 109 80. MAZDA K0114370X. MAZDA 6 (GJ, GL) 2012- CX-5 (KE, GH) 2011-2017. 6 (GJ, GL) 2012-. CX-5 (KE, GH) 2011-2017. CAPTEUR ABS gauche ou droit. Type de capteur: Capteur actif. Monte Glace Arriére Droit BMW Série 3 E90 E91 Berline Touring - 51357140590.